While visiting the National Underground Railroad Freedom Center in Cincinnati, OH, recently, I was struck by the amount of times I encountered the word “freedom” followed by a negated auxiliary verb; phrases like “freedom doesn’t exist,” or “freedom never felt so far away” reverberated throughout the museum. And while I admired the faces of those enslaved Americans, my fellow Americans, I contemplated the ideology of freedom today. It was then that I remembered a line from Cristina Henríquez‘s novel, The Book of Unknown Americans, when Mayor confesses his desire to give Maribel “the thing that seemed like everyone else wanted to keep from her: freedom” (231). Henríquez’s novel, the Common Reader for the Sigma Tau Delta 2018 International Convention in Cincinnati, OH, is the perfect book for the convention’s theme: Seeking Freedom. The story primarily follows two Mexican families, the Riveras and the Toros, and their struggles navigating the American way of life. Despite help from their small Delaware community of immigrants, the Riveras have the hardest time adjusting to life in a new country. Their fifteen-year-old daughter Maribel has suffered a traumatic brain injury, and the United States serves as her only hope of recovery. 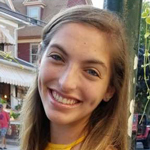 Not long after their arrival in the states, Maribel meets Mayor Toro, the son of one of the neighbors in their building, and the two kindle a strong bond. Their love, however, must surpass the multiple confines of oppression that surround them, including racism, parental constraints, and believe it or not, the ability to drive a car. Does that person even go here? Bust open the creativity closet and host a Book of Unknown Americans themed party! You can have people come dressed up as their favorite characters from the novel, or they can come as a ‘mysterious unknown’ character that others have to guess. Guests can also spend the night adopting the persona of the character of their choosing. Make sure to incorporate prizes for best or most unique costume or portrayal. Don’t forget to include the Clue boardgame! 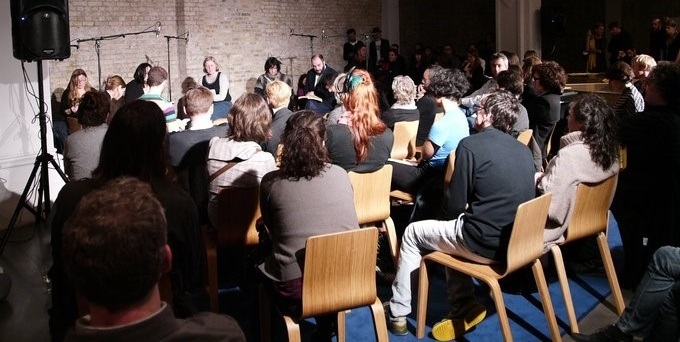 If you plan to get a larger discussion of the book going, consider holding a public reading. You can plan to have the event at a local library or public area on a college campus for students and faculty to attend. 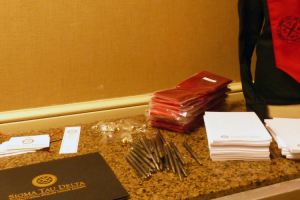 You can even reach out to other clubs or organizations to co-sponsor your event in order to promote a better turnout. Pick a few of your favorite passages from the book and have audience members talk about why they think you chose that passage. Other people can come up and speak as well; not everyone in attendance has to have read the book. Try to pick some quotes you think are universally important. You can even incorporate themes for the passages, such as love, bravery, or freedom. While it might be a fictional novel, Henríquez’s book deals with universally prevalent topics, such as racism, discrimination, and sexism. Hold a discussion to address relevant facts relating to the book, like “70% of Mexican lawful permanent residents to the United States plan to stay in the US and not return to their home country later in life” (pewhispanic.org). To promote the event these facts can even be put up on posters with a picture of the Common Reader novel and distributed to students or hung up on buildings in local areas. Host a marathon read-aloud at a common space on campus. Pick someone to start, and have them read as many pages as they want, then keep switching off to the next person and the next one and so forth. Of course, not everyone has to stay for the whole thing. People can walk in and out, go get a bite to eat, and come back just in time to hear their favorite part. 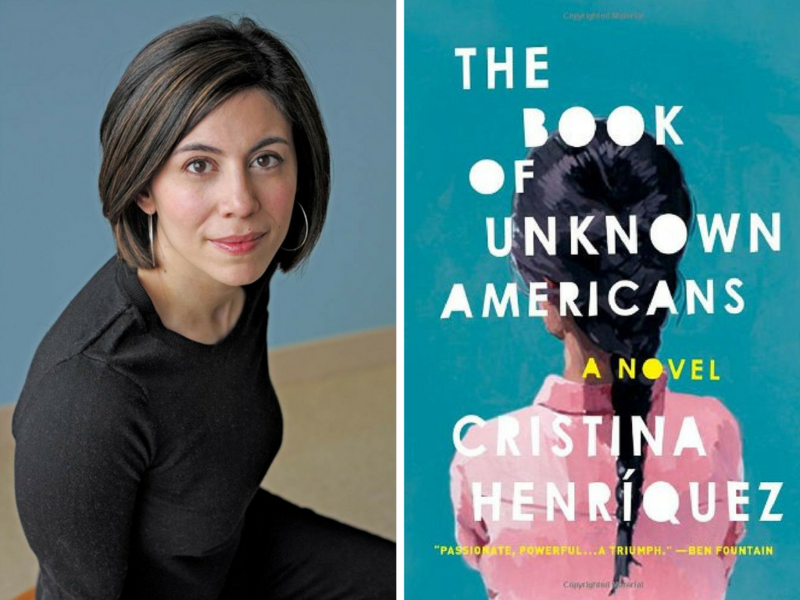 For Henríquez’s novel, a read-aloud marathon should only take four hours! 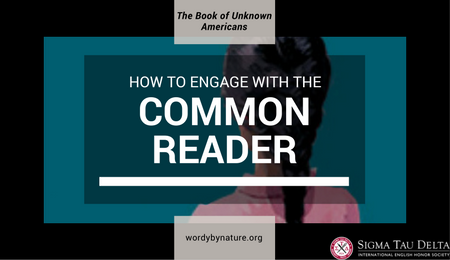 No matter what your goal for this year’s Common Reader, never underestimate the freedom of expression. Happy reading! Want to take things a step further? Try reaching a whole world of people over the web! 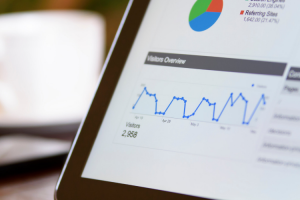 Start a blog specifically for the book, and allow people to leave comments or write their own posts. This way, everyone can finish the book at their own pace, and still feel like they are a part of the discussion! And hey, it’s never a bad idea to try and reach out to Henríquez herself via Facebook or Twitter. 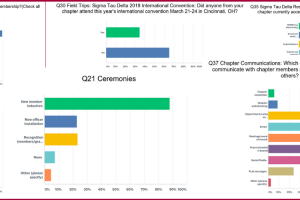 Did you know you can submit one additional paper to present at the Sigma Tau Delta 2018 International Convention if you also write on the Common Reader? All paper submissions will be accepted through Monday, October 30, 2017, 5:00 p.m. Central Daylight Time (CDT). The College of New Jersey, Ewing, NJ. 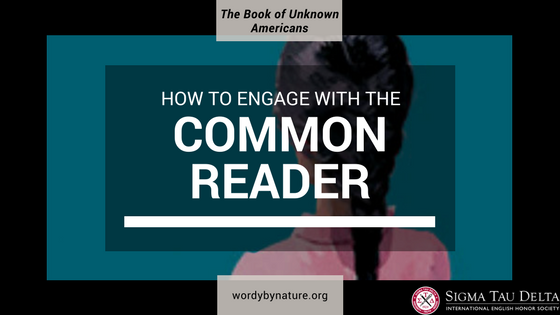 The Regents’ Common Reader Awards provide an opportunity for individual chapters to organize and host a local event or activity based on the common reader. Chapter members do not need to attend the convention to apply. Contact your Regent and you may receive $100 for your event or activity.